Bennett's GI issues seem to be in check. And, despite my recent fears about potential lung issues, Bennett blew a FEV1 of 95 (out of 100), which seems to indicate he's doing well. Bennett is still in the 3rd percentile for BMI but gained .5 lb and .5 inches in 3 months. We are giving him 3 tube feeds a day so we hope we can increase his weight and height even more. I'm trying to figure out if we can increase it to 4 tube feeds a day without inconveniencing either one of us. 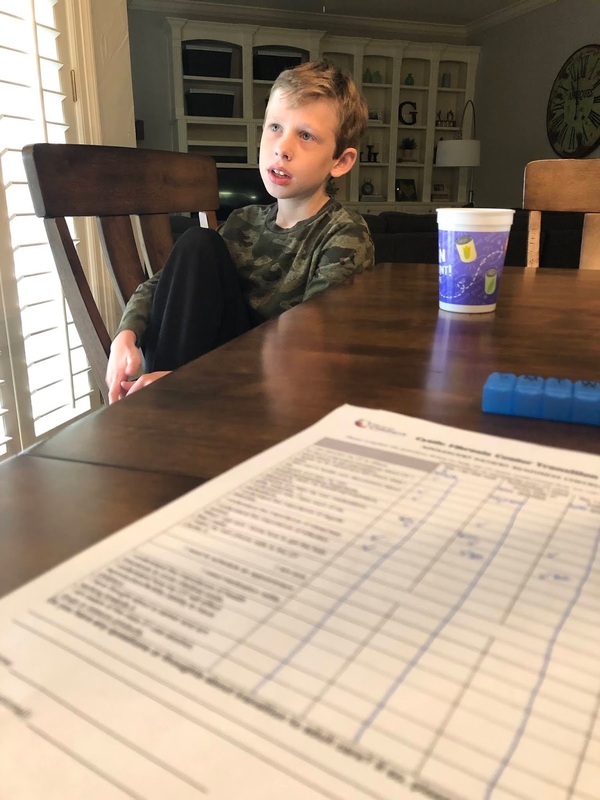 This morning, I sat down with Bennett to go through a worksheet with him. I had received a "adolescent transition worksheet" from a friend whose child is seen at Cincinnati Children's Hospital in Ohio. 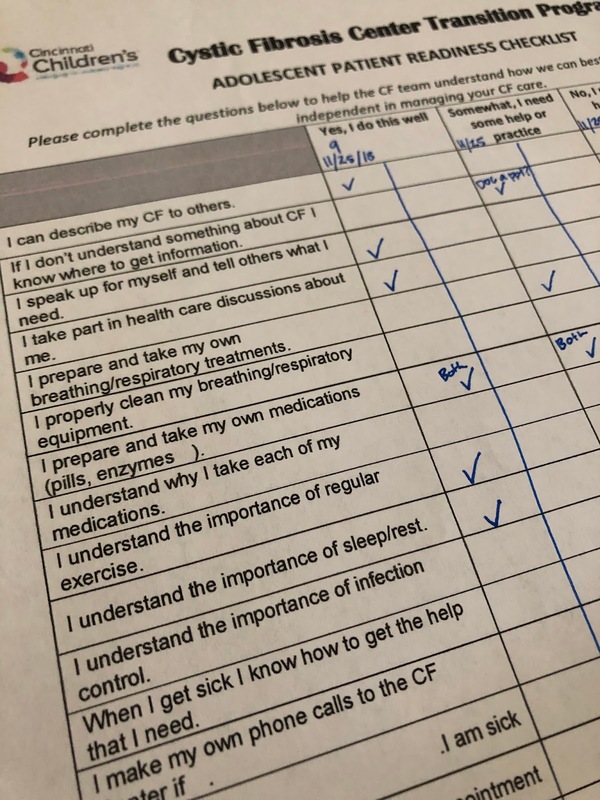 I learned about this worksheet while in the midst of a conversation with a friend about "transition" in CF Care. "Transition" is the word that describes moving from pediatric CF care to adult CF care. Until even as recently a decade ago, most CF patients were being cared for, even as adults, at pediatric clinics/hospitals. This is because CF has historically been a childhood disease - people with CF didn't usually live in to adulthood. Thankfully, things have changed. Projected life expectancy for CF is now 41 and these days, most people with CF are expected to eventually move from pediatric CF care given pediatric hospitals to adult CF care provided at adult hospitals. The process of moving from pediatric to adult CF care is often referred to as "Transition." Bennett is still 10 years away from "transitioning" to an adult CF clinic. But, I tend to see transition in CF as being less about learning how to move from one hospital to another but instead learning how to manage CF as a child to managing CF as an adult. And that transition happens from birth. In the same way all children are given "teenage years" to practice being an adult. I believe, there should be a similar transition phase for kids with CF to practice being an adult with CF. This is why I was so interested in filling this worksheet out with Bennett this morning. Transition is still a relatively new concept in CF care. So, there aren't a lot of resources for transition of CF care available yet. That's why I was grateful to get my hands on this resource to try out with Bennett, even if it was a bit premature for his needs. My goal in completing this form together was just to create a path in my own mind, for what transition might look like. Right now, as his mom, I carry most of his disease (along with his dad). I know most of the information. I make most of the decisions and connections. I address most of the problems. I'm in charge. But, one day, Bennett will be the one who primarily carries his disease, who makes the decisions and the connections, who will be addressing the problems and being in charge. I don't see that happening late in high school or when he goes to college. I see that beginning to happen now, ever so slowly, so that the both of us can get used to our new roles - me in the background, he in the foreground. 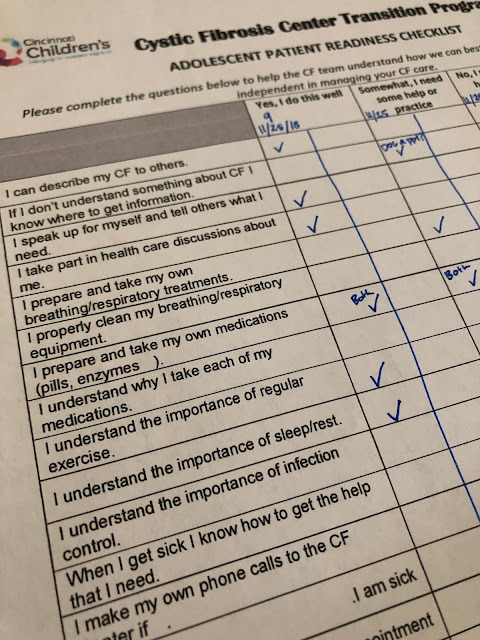 This transition worksheet, which Bennett and I did after breakfast this morning, allowed Bennett and me to have a really great conversation about his CF care and his ability to advocate for himself. I saw him completely light up when he shared with me the things he is proud that he could do. Bennett was very honest about the things he can't yet do. And, he asked me to start teaching him about the things he doesn't know much about or how to do. 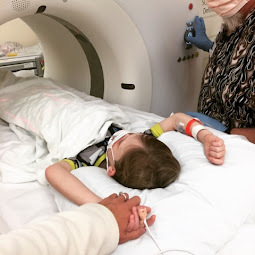 So, at nine years old, what exactly can Bennett do and what does he understand about his care? 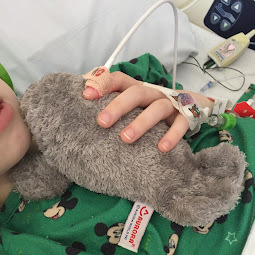 What does he still need help with and how can we, as his family, support him to gaining greater independence with CF? To my delight, Bennett indicated he can describe CF other others. He can speak up for himself and tell others what he needs. 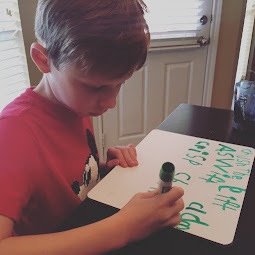 He can take part in healthcare discussion about himself (I owe a lot of credit to his CF docs who do an excellent job of talking to him directly when we're in the room). And Bennett indicated he understands the importance of regular exercise and the importance of sleep and rest. This was all really great for both of us to hear! There is a lot that Bennett is already doing well in his transition to owning his own CF care. There are also areas that Bennett acknowledged he needs help with. Bennett explained that while he can take his own medications, he still needs help to prepare his meds. He also needs help properly cleaning his breathing/respiratory equipment. Bennett said he mostly understands why he takes most of his medicines but acknowledged he didn't totally understand why he had to take certain meds or why they were important to take. In addition, Bennett asked to learn more about how, if he wants to know more about CF, he can get that information. He suggested: "maybe I could learn how to call the doctors??" I so love this! Truly, this is transition conversation has gone well when my nine year old wants to know how he can call his CF clinic to ask questions. Things I didn't really know about Bennett, but that I learned from this exercise, is that Bennett doesn't totally understand infection control (the reason why people with CF can't be together and why CF clinicians have to gown up and glove at clinic). In fact, when I tried to explain it to him, his eyes welled up with tears. It was hearing that his "lungs are sick" that made him start to cry. I had to quickly caveat it with, "well, they are sick but they aren't. I mean, you aren't actually sick right now but your lungs are susceptible to others germs so they are kinda sick." He asked me, sort of offhandedly, for the third time recently, "am I going to die?" I need to answer this question for him but I wasn't ready to at this moment. That's a transition conversation I'm not quite emotionally ready to make. I also skipped the question about whether or not the person with CF understands his/her issues with infertility. 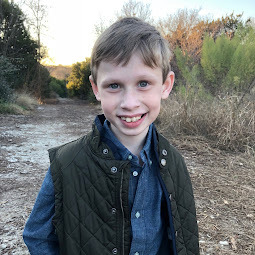 I really appreciated this little checklist for the opportunity it gave Bennett and me to sit down and talk about aspects of his disease that he and I often take for granted that he may already know. Bennett really loves it when I give him my full undivided attention. So, we both really enjoyed the intimacy of the moment of sitting down and talking through how well he takes care of himself and identifying ways he wants to do that even more. I'm incredibly proud of Bennett and the person he's becoming to be. So few children have to carry such a difficult burden on their shoulders. And he does it with such strength and grace. A well-known psychologist once said: "the goal of raising children is getting them to adulthood as fully intact as possible." Maybe, I'd add, the goal of raising children with cystic fibrosis is getting them to adulthood as fully independent as possible. I'm grateful Bennett is making it very easy for me to begin that process now. Thank you for sharing your journey with sweet Bennett. It is educational but also very moving at the same time. I know where he learned to his grace and strength. It's in the family genes. Will continue to hold you are in my prayers but especially little Bennett. Love with prayers, Debbie J.
Praying for grace and strength for you and your family, Breck. Thanks for sharing everything.